We weren’t born in the 17th century. We know that lap dances and liquor take centre stage at most stag dos. After one too many beersies that lead to the old goggles on, you end up embarrassing yourself by declaring your undying love to Sapphire from ‘Strippers-are-us’. Not cool bro, not cool. It’s time to be original gents. Show your bro some true man-love by giving him the best buck’s party he could ever imagine. Don’t worry, we’re here to help. We have rounded up 19 of Auckland’s best stag do ideas, (that don’t involve even the slightest mention of stripping) for you to help celebrate your mate's last few days of freedom. If you enjoy laughing at other people’s misfortunes and watching your mates make a fool out of themselves is up your alley, then Bumper Ball is the one for you. Gather the lads and take part in an epic and inflatable game of soccer or football for the best stag do evaaarr. Don’t be fooled though, this isn’t a regular kick about with the guys. Add a zorb-style ball around your body and you're ready to go. Get ready for a whole lot of falling over, flipping and a serious amount of laughing. We couldn't think of a more engaging activity to enjoy your stag do with than shooting the breeze...and throwing some knives. And no, we're not kidding! 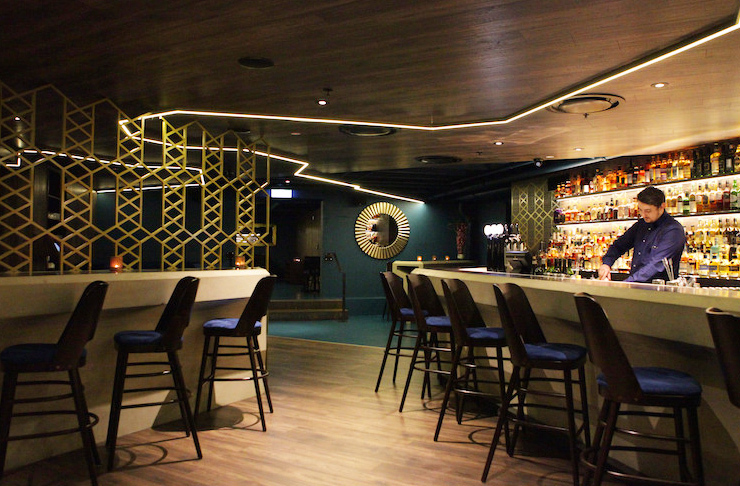 Bracu, Auckland's premier fine dining establishment, which is located just a hop, skip and a jump from the CBD offers up some seriously cool packages, including clay bird and air rifle shooting, air pistol shooting, archery and knife throwing. Then once you're done, you can sit down to eat a decadent, two to four-course meal. Finish it off with a whiskey or two and you've got yourself a stag do fit for a king. Jump on a ferry in downtown Auckland and take the whole stag team out to The Riverhead Tavern, for an afternoon of food, beer and pool. The Riverhead Tavern has its very own jetty, where the ferry will dock and unload passengers straight onto the deck of the Landing restaurant. Their menu features options like roasted Malboro salmon and pan-fried gnocchi primavera and then to finish the arvo off, pop over to The Portage Bar to smash out a couple games. Undeniably one of the best stag do ideas in Auckland—or any city for that matter—is to round up your mates and go for a good old camping trip! 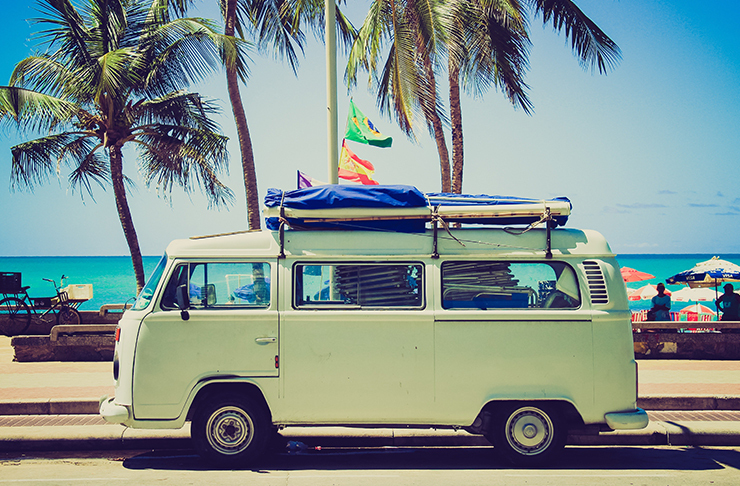 Pack the car with essentials (a.k.a beer and a tent) and head out into the wild. Spend an evening reminiscing and laughing under the stars as the darkness hides your tears, as you realise that you’ve lost another mate to marriage. Time to up that Tinder game Mr! For all the LOL's, take the stag crew to The Comedy Club for a night of banter and laughs. And here's a tip—let the comedians know your boy is a stag and watch them rip into him all night long. He'll love you for it...promise. The classic Kiwi bloke loves a good fishing trip. So charter a boat, get the lads together and a box of beers of course and head out or a day of fishing out on the stunning Waitemata Harbour. Then once you're back on land, fire up the barbie and cook your catches up for dinner. Okay, so beer doesn’t top the list of all suuuper original stag do ideas, however, cycling to your beer is. We’re not talking hi vis’ and helmets—no— we’re talking hiring out a pedal-powered bike for you and 14 mates. 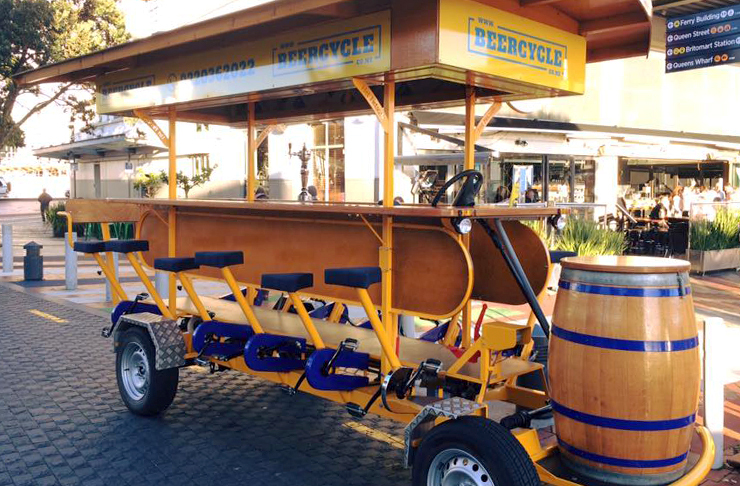 Introducing, Beercycle! Have all eyes on you as you embark on a bar crawl around the city on this unusual mode of transport. Worth the laughs and with a few stop offs, you and your beer loving buddies can do what you do best: drink. Gather the bros and head over to Fokker Bro’s for the ultimate alpha male contest. Take on the ‘Big Momma Fokker’ burger challenge (if you dare!) and earn ultimate lad points. This burger beast consists of a whole lotta bacon, fried egg, pineapple, lettuce, tomato, jalapenos, onion rings, beetroot, beef patty and even more burger goodness. Oh, and all of this is served with crinkle cut fries and a shake of your choice. It’s basically a stag do activity and pre-hibernation feed all in one. Conquer this creation and they’ll shout you a beer! Think you’ve got what it takes to tackle an extensive course while zombies surround you from all directions? No no, you’re not in a scene from the walking dead (R.I.P Glen), this is Auckland’s very own zombie survival challenge. Take part in the Saturday night challenge and see if you and the guys have what it takes to outrun a pack of flesh eating zombies. Good luck! If you've got the cash to splash then book yourselves in a hummerzine (that's a hummer limo hybrid) and feel like VIP's all night long. Get chauffeured along in style in the H2 limo, which comes loaded with top of the range audio equipment and is stocked to the brim with all the beer and champagne you could want. 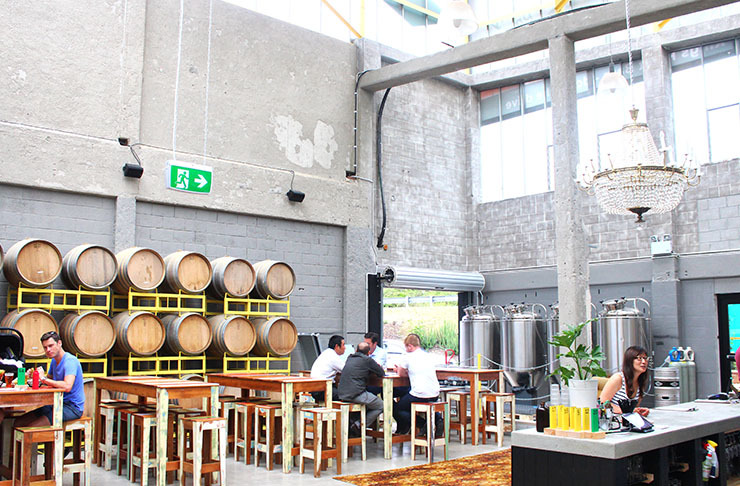 The team down at Brothers Beer have sussed the mother of all stag do ideas in Auckland—brewing your own beer of course! Yielding around 25 litres of the good stuff, you and your group of merry men can learn the fine art of creating and crafting your perfect brew. Name and label it and in a few weeks, you can return to collect the finished product! Voila! For something a little more ballsy for you and your stag team, why not book a classic paintball session. Nothing will get the LOL's rolling out more than running around, shooting at each other with guns. With World Challenge Tag they've even got a "stag hunt" game and when the paintball sesh is up, that ice cold beer will be even more refreshing. Test your hand-eye coordination and your kahunas at Tree Adventures. These courses range from three to 14-metres off the ground and are set to get the blood pumping! This unique activity may sway away from the normal "stag do" but if you're keen for something a bit more low key and outdoorsy, then this is the place to do it. Head out to Woodhill Forest to check them out. Feelin' lucky? Take the boys up to SKYCITY Casino for a bit of blackjack or roulette. Don your best suits and make your stag do a "Casino Royale" theme. You don't have to splash a bunch of cash, it's all just for a bit of fun and when you're done there you could pop over to The Grill for an epic steak and a beer. Take your Auckland stag do up a notch and show the lads that you can be sophisticated and well-mannered at a whiskey tasting, at The Jefferson. Learn the art of this popular spirit and taste different varieties until you work out which is your fave. Sit back, relax and make the most of the time you have with left with your ‘groom to be’ whilst you can. Cue a whole lotta bromance. Put the whole stag party to the test with the Ninja Warrior obstacle course at JUMP on the North Shore. Their adult's obstacle course is set to test your strength and endurance, with obstacles like the 12ft warped wall, cannon bowling alley, tilting ladder, spider wall and quintuple steps. Why not put the stag through the ringer before his big day? It'll be a barrel full of laughs! Not keen on running yourself ragged for your big day? For something a little more relaxing, why not book your stag and the crew into Barbershop Co for a private grooming sesh. Located in the Sweatshop building on Sale St, Barbershop Co offers grooming packages, accompanied by a beer tasting with Sweatshop's brewer, then finish the day off with a meal in their restaurant. Our final pic for your epic (stripper free) stag do is a quad bike safari. No experience is required for these bad boys as full instruction is provided before take off. Roam through forests and beaches on your own quad bikes then finish the day off with a catered lunch provided by the crew. Cheers. This article was compiled by Martha Brooke and Nina Franklin.